Today’s podcast features the first 3 columns of MASTERY IV – enjoy! (also read the notes below to find out how to get FIVE MORE COLUMNS FREE)! Money & Relationships: It’s the elephant in the room for relationships and you have to deal with money if you want to go the long haul with her. Wasted Time: You have so much time on this earth and do you really want to spend it with the wrong woman? Sadly, many guys can’t even recognize if she’s the wrong woman – or the right one for that matter. Get educated via THE SYSTEM! Want More Mastery IV? Surf on over to http://www.datingwomenpodcast.com because we have 5 more columns for you – and you don’t even have to put in your email address to get them – all you have to do is download them! 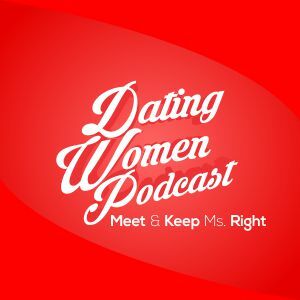 We talk about: misleading information hurting your cause in dating, being prepared and how important that is, why most guys don’t get it, the importance of having a modest woman and how a guy is driving his wife away with neediness. Happy Wife, Happy Life: So, how do you get a happy wife? Apply THE SYSTEM – that’s how.